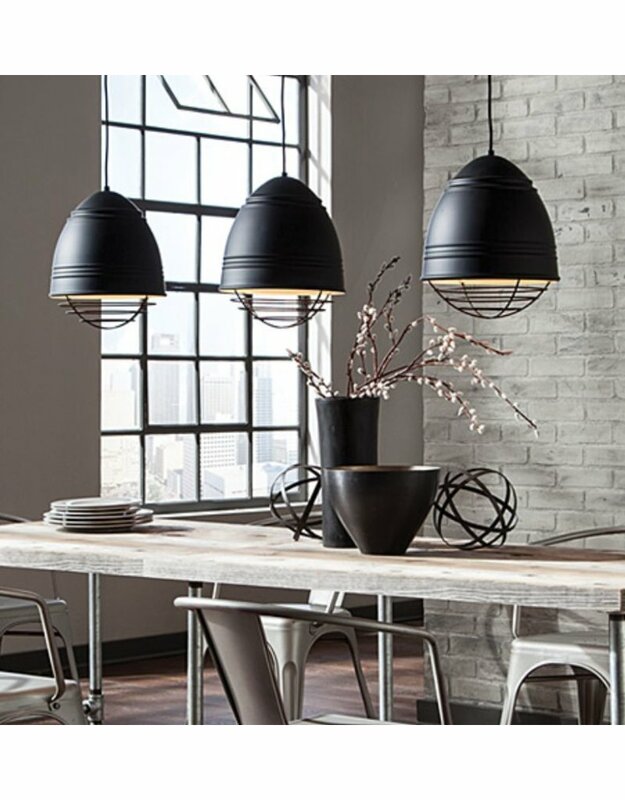 A characteristic ribbed metal shade and metallic cage combine in this stylized and elevated interpretation of industrial high bay lighting to create an amazing largescale statement pendant light. 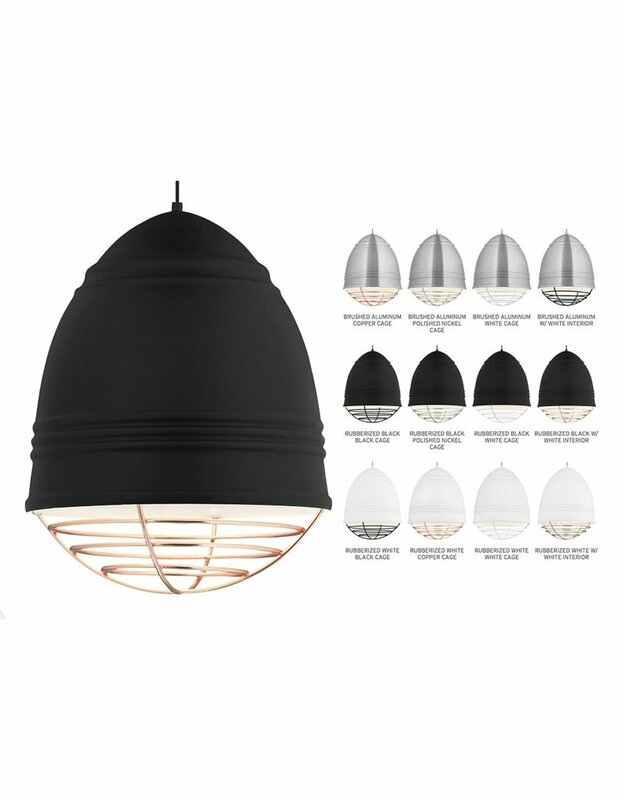 Rubberized paint on the spunmetal shade provides a smooth, matte finish while a choice of metallic plated cage adds a custom look with the Loft Grande pendant light from LBL Lighting. Includes 6' of fieldcuttable cloth cord. Brushed Aluminum includes black/white cloth cord; Rubberized Black includes black cloth cord; Rubberized White includes white cloth cord. 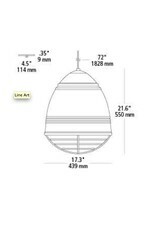 Incandescent includes (3) E26 medium base 53 watt A19 lamps; LED includes (3) E26 base 11 watt 80 CRI2700K LED A19 lamps. 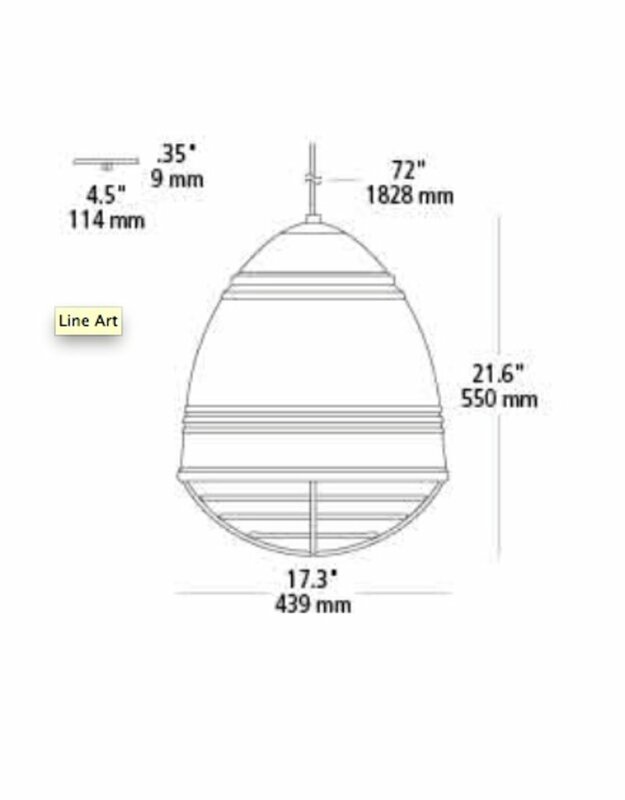 Incandescent version dimmable with a standard incandescent dimmer. 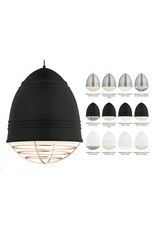 LED version dimmable with an LED compatible dimmer.